It is not bad to have an ego, but it is bad if the ego takes over everything. The ego boundary is the differentiation between self and other, and you do not want it to be fixed because that locks you down. With the ego boundary there is a polarity going on between what is inside and comfortable, and what is outside and uncomfortable. We explore these boundaries starting at an early age. We test things out and acquire information about the world around us. That boundary between what we are comfortable and familiar with and what is strange and unfamiliar is more fluid when we are open and exploring. The boundary can become fixed based on our experiences, such as when we experience trauma. Trauma can create a fear of going beyond the boundary, so the boundary remains fixed. While staying within your boundary can feel safe, it can also be isolating and keep you in a place where you’re not growing. Dissatisfaction is something we often try to avoid, but by avoiding examining our dissatisfaction we do not get the information about what needs to change. Dissatisfaction is a prompting that we want to change something. With the boundary that you’ve set up for yourself, if you’re feeling dissatisfied then that is a clue that you want to push the boundary. Our boundary has to stay fluid because if it does not then we are disowning parts of our self. It is safe inside of our boundary, but it is not dynamic. If we stay inside our boundary then we are not being inspired or influenced by things that have energy and life. If we kick something out of our boundary, then we may be disowning a person, a part of our self, an idea, or something we feel shame about. We push these things out without facing, integrating, processing, or healing it. We need to own our whole self. We cannot deny these parts of ourselves because they are still a part of us. Society can collectively deny these parts of ourselves, but if we all stop denying these parts and dissatisfactions, then society will become more willing to embrace it as well. We play the part we think that we are supposed to be playing, a character we think society wants us to be. But if we deny aspects of our true selves then we end up losing who we are. By trying to fit into the character we think we have to be, we become more isolated from our true self. If you inhabit and accept your whole self, and show up as your whole self, then people can accept it or reject it, but at least they will know exactly what they are accepting or rejecting. We have a fear of being our whole self in the world. But it is the people who show up as their unique selves who are revered in our society. 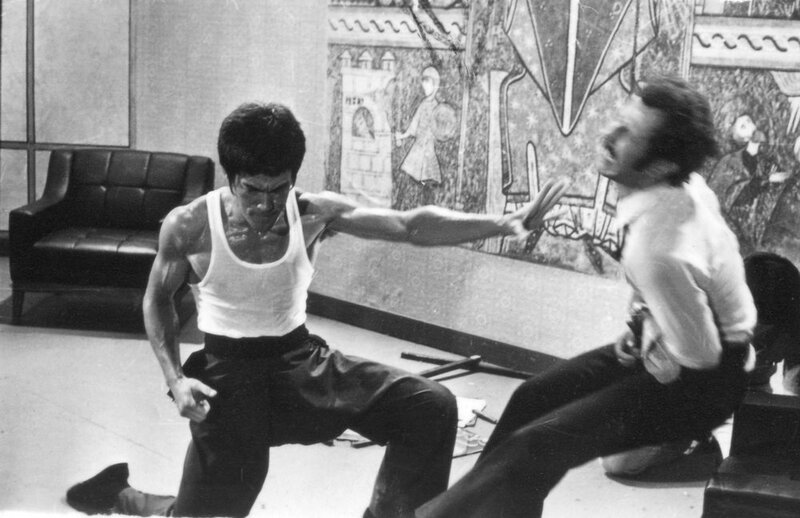 Bruce Lee showed up exactly as himself and it is because of his uniqueness that there will never be another Bruce Lee. We all have the potential to cultivate the uniqueness within ourselves. Connection with people, animals, and environments outside of our boundary gives us energy and helps us grow. Connection makes us extend our boundary. The boundary keeps us isolated instead of letting us connect with those around us. This concept is easy to agree with, but can be difficult to implement. It is challenging to feel uncomfortable. Not all boundaries are bad, it is important to have healthy boundaries. It is healthy to cut out toxic influences in our lives, but the toxicity has to be real instead of a perceived judgment. Bruce Lee’s philosophy is about being in a constant relationship and process with what is happening in the present moment. Perceived judgment one of the bases of racism, something that Bruce Lee frequently experienced. Before people would even meet Bruce they would have a perceived judgment about him based solely on his skin color creating a wall between them. If you want growth and maturity, you have to be willing to engage with any situation and any moment. It can feel comfortable to do the same thing repeatedly, especially when it is working for you. At what point do you feel dissatisfaction? Sometimes the dissatisfaction is not a huge feeling, it can be a low hum. The things in our life that we need to work on will show up. We need challenges to grow. Connection is the antidote to dissatisfaction. Be present. Have healthy boundaries. Don’t be afraid to stretch and reach out beyond your boundaries. Start to recognize your warning signs of isolation and dissatisfaction. Recognize and examine your dissatisfaction to see what change it is pushing you towards.